On March 3, Honduras’s unrelieved high volume of violence and turmoil came to light one more time when the prominent indigenous and human rights activist Berta Cáceres was shot dead in her apartment in La Esperanza. Reports say the perpetrators escaped without being identified after also wounding Mexican activist Gustavo Castro Soto. It is unclear how many assailants participated in the attack, but Cáceres was hit by at least four bullets. Initially police adopted the hypothesis that the assault was an attempted robbery gone wrong, but Cáceres’s family, as well as many Hondurans, strongly believe that the killing was a politically motivated assassination, due to her strong activism that had gained support against the actions of international corporations doing business in Honduras as well as government officials. For Hondurans, Berta’s killing is not simply one more act of violence but rather represents the government’s inability to serve and protect its own citizens. It reflects the intensity of the day-to-day structural challenges that leaders in the democratic force face from the rampant violence, corruption and impunity found in Honduras today. 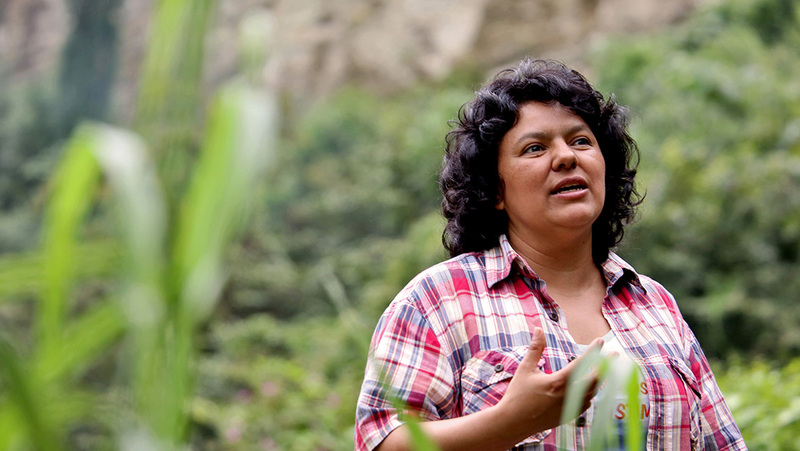 Berta Cáceres was a leader of the Lenca indigenous community in southwestern Honduras. A cofounder of the Civic Council of Popular and Indigenous Organizations of Honduras (el Consejo Cívico de Organizaciones Populares e Indígenas de Honduras, COPINH), she was well known for her opposition to the military coup that ousted President Manuel Zelaya in 2009 as well as for her human rights and environmental protection campaigns. In 2015, she was awarded the Goldman Environmental Prize for her opposition to the massive hydroelectric project known as Agua Zarca. 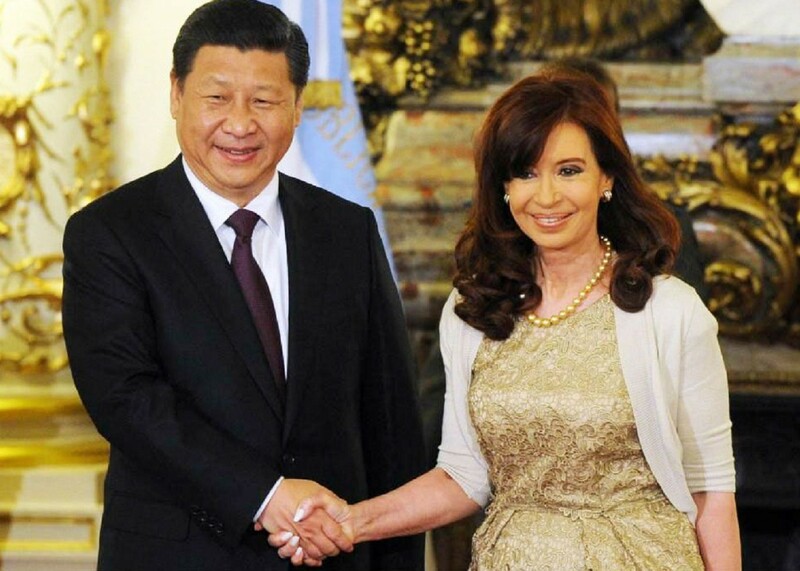 Her activism led to the withdrawal from the project of both China’s Sinohydro and the World Bank’s International Finance Corporation. So deep was Cáceres’ dedication to protecting the environment that even during her acceptance speech for the Goldman Environmental Prize she affirmed that “giving our lives in various ways for the protection of rivers is giving our lives for the well-being of humanity and of this planet.” Completely aware of the risks she faced, she kept firm in her commitments to grass root communities. Since 2009, Cáceres had received numerous threats to her life due to the political repression, which also included targeted killings of activists that increased sharply after the coup. All while, Honduras’ post-coup governments and the U.S. government turned a blind eye, demonstrating that when it comes to democratic principles, Washington degrades its pledge to Latin America. The repressive legacy of the post-coup government manifested itself with Berta’s assassination and continues to affect Hondurans democratic leaders. Days before her death, Berta said that four of her fellow campaigners had been murdered and others had also received death threats. Cáceres and other COPINH members have been in conflict with the operators of Honduran company Desarrollos Energéticos, S.A., as well as with the local mayor, police, and soldiers. According to COPINH, some activists were detained and others had been threatened at the end of February. The danger faced by COPINH members, and especially by Cáceres, is by no means new. It has been well known since 2009, when the Inter-American Commission on Human Rights (IACHR) requested that the Honduran government take “precautionary measures” to protect Cáceres. In the past year, both IACHR and Victoria Tauli-Corpuz, United Nations special rapporteur for indigenous rights, reiterated the request to provide her with police protection because of the many threats she was receiving. While Honduras’s Public Security Minister, General Julián Pacheco, said that protection had been provided as requested, the government failed to protect her. Cáceres’s security detail was unaware that she had moved to the house in La Esperanza where she was later murdered. This failure to protect the country’s most prominent environmental activist has deservedly attracted the scrutiny of international media, which have played an important role at uncovering the government’s incompetence in dealing with the overall crisis of violence, corruption and impunity facing Honduras. According to InSight Crime, violence rates in Honduras remain among the highest in the world (56.7 homicides per 100,000 residents) even if as of 2015 Honduras no longer held the title of the most murderous country in the world not at war. A study by the Alliance for Peace and Justice, a Honduran NGO, found that in 2014 fewer than 4 percent of murder cases resulted in conviction. Many of Cáceres’ supporters fear this latest atrocity will go unpunished despite Honduran President Hernández’s claim that local investigators are actively engaged with officials from the United States and other countries in searching for the murderers, and despite his assertion that police are questioning a suspect in connection with the murder. In a televised speech, he stated, “Our commitment is to the truth of the facts and to serve justice, no matter who it might involve. No one is above the law. This death will not go unpunished.” But the government’s dismal record thus far speaks for itself. Dozens of Hondurans have protested outside the morgue where Cáceres’s body is being examined, demanding justice. Violent clashes have taken place at the University of Honduras between the police and students protesting the authorities’ failure to protect Berta. 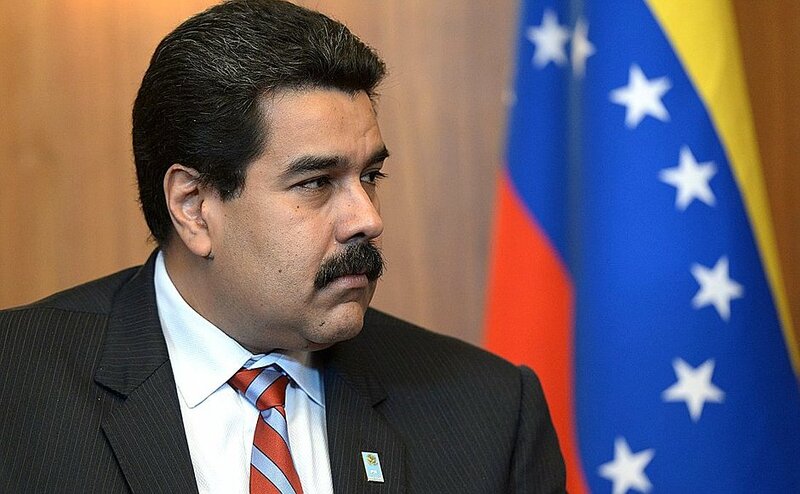 Foreign governments and international and other national observers have also repudiated the government over Cáceres’s atrocity. Many have called for a quick and appropriate investigation, including the U.S. Ambassador to Honduras, James Nealon. Erika Guevara-Rosas of Amnesty International and members of the National Network of Human Rights Defenders in Honduras (NNHRDH) have called for the protection of human rights defenders, pointing to the obvious risks they face in their struggle. The international indignation streaming from Cáceres’s death should reinforce demands for the protection of human rights activists in Honduras. The killing has raised awareness of the almost forgotten reality that Hondurans face, especially those who stand up to defend human rights and protection of the environment. According to a study by Global Witness, an international NGO, environmental activists in Honduras are more likely to be killed than their counterparts in any other country. The study found that in Honduras 111 defenders of land and the environment were killed between 2002 and 2014. If this situation does not improve, it is likely that a large number of ongoing assassinations will go unpunished, considering Honduras’s record of systematic impunity. Cáceres’s murder should attract added attention to a report UN Special Rapporteur for Indigenous Rights Tauli-Corpuz is due to publish on Honduras in the next few months. It is likely to further tarnish the government’s reputation while demanding solutions to the country’s crisis of violence. The high-profile murder occurred just 10 days after the government, with the Organization of American States, proudly announced the beginning of the Mission to Support the Fight against Corruption in Honduras (La Missión de Apoyo Contra la Corrupción y la Impunidad en Honduras (MACCIH). Coming as Honduras had begun participating in the Alliance for Prosperity Plan (a Northern Triangle strategy to tackle violence and poverty in the three countries), that initiative indicated some progress. Berta Cáceres’s murder represents a huge setback for Honduras. The government has a long way to go to demonstrate both willingness and ability to provide security for all. Arresting and punishing Berta’s murderers would be an important step toward embracing the rule of law. Watts, Jonathan. “Berta Cáceres, Honduran Human Rights and Environment Activist, Murdered.” The Guardian. March 04, 2016. Accessed March 4, 2016. http://www.theguardian.com/world/2016/mar/03/honduras-berta-caceres-murder-enivronment-activist-human-rights. “Berta Caceres Acceptance Speech, 2015 Goldman Prize Ceremony.” Global Environmental Prize YouTube Channel. April 22, 2015. Accessed March 5, 2016. https://www.youtube.com/watch?v=AR1kwx8b0ms. “Hillary Clinton Forgot That She Supported a Coup in Honduras.” Tele Sur. March 9, 2016. Accessed March 10, 2016. http://www.telesurtv.net/english/news/Hillary-Clinton-Forgot-that-She-Supported-a-Coup-in-Honduras-20160309-0047.html. “OAS :: IACHR :: Rapporteurship on Human Rights Defenders :: Precautionary Measures.” OAS. Accessed March 10, 2016. http://www.oas.org/en/iachr/defenders/protection/precautionary.asp#MC196/09f. Gagne, David. “InSight Crime’s 2015 Latin America Homicide Round-up.” InSight Crime. January 14, 2016. Accessed March 7, 2016. http://www.insightcrime.org/news-analysis/insight-crime-homicide-round-up-2015-latin-america-caribbean. “Country Report: Honduras 2015/2016.” Amnesty International. Accessed March 9, 2016. https://www.amnesty.org/en/countries/americas/honduras/report-honduras/. “How Many More? | Global Witness.” Global Witness. Accessed March 5, 2016. https://www.globalwitness.org/en/campaigns/environmental-activists/how-many-more/. Valencia, Katharine. “MACCIH Takes Shape in Honduras – How Effective Will It Be?” Latin America Goes Global. March 1, 2016. Accessed March 10, 2016. http://latinamericagoesglobal.org/2016/03/maccih-takes-shape-in-honduras-how-effective-will-it-be/.